Are you fed up with continually having to treat your pet for fleas, but they always seem to come back, just when you thought you’d got rid of them? Well, in the 21st century, there is no reason why your dog or cat should have fleas, and now at Vetrica we guarantee it. Why does flea treatment fail? There are 3 main reasons for this. The use of ineffective pet shop & supermarket remedies. Failure to treat all the animals in a household. Failure (or inability) to follow the directions on the pack. Using Program, we can eliminate all these factors. No other flea treatment is simpler to use. For cats, one simple injection, given once every 6 months will stop flea infestations from starting. After 6 months, we even send you a reminder to let you know that your cat is due another injection. At last, you can truly forget about flea control! For dogs, Program Plus tablets are given once a month with food, (which includes monthly worm control). Program (which contains lufenuron), is a flea contraceptive. Any fleas arriving on a Program treated animal cannot produce fertile eggs, preventing an infestation from building up. All dogs and cats in the household must be treated. 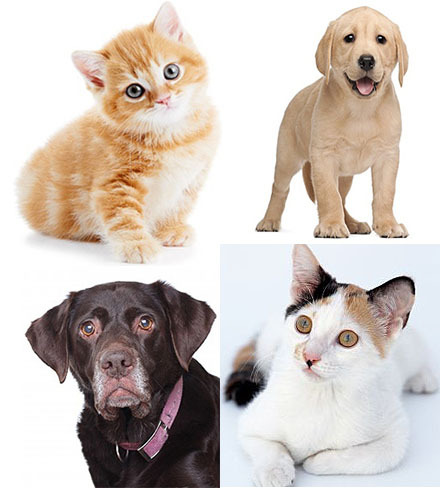 We’re so confident that Program will keep your cat or dog free of fleas that we guarantee it. After 6 months of correct use there will be no flea infestations on your pets, or in your home, or we fix it FREE. For the current cost of treating your pets with Program, please contact the surgery.